In an effort to supply 50 percent of its power needs through renewable sources by 2030, Gunnison County Electric Association is working with Boulder-based Microgrid Energy to construct two solar arrays. GCEA’s board of directors approved the 500-kilowatt arrays, which will cover approximately 3.5 acres of land. Not only will the arrays factor into their renewables supply, but it will help increase participation in the voluntary green power program. The Green Power Club allows consumer-members the choice of three tiers of participation: 130 percent offset, 100 percent offset, or purchasing blocks of green power in 100-kilowatt blocks. GCEA is also in the process of expanding its community solar garden. 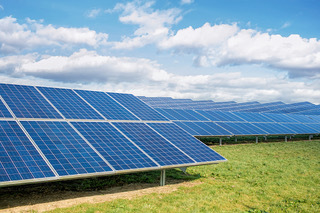 This, in addition to the solar arrays, will be local renewable projects that meet the co-op’s goal to provide power from renewable resources at or below the cost of its current power supply.